It is a wonderful privilege to be a part of a person’s life in so many ways. I appreciate the significance of self-esteem in an adult or developing child, and it is very rewarding to be able to contribute to someone’s growth, whether it is personally or professionally. I love practicing orthodontics and look forward to coming to the office every day. Each patient’s smile presents a different challenge, making each day truly exciting. Not only are my patients excited to see the positive changes in their smiles, but I am too! The lasting relationships I’ve built over the years with my patients and their families are more rewarding than I ever thought possible. I received my bachelor's degree from UCLA and attended the Harvard School of Dental Medicine, where I received my Doctorate of Dental Medicine and served as class president and a member of the admissions committee and executive board council. I continued my studies at Harvard for an additional three years and earned my master's degree in medical sciences and completed my orthodontic residency. To keep current on the latest techniques and advances in orthodontics, I participate in many hours of continuing education throughout the year. Our patients get the immeasurable benefit of receiving the most comfortable, efficient, and state-of-the-art treatment, and I believe they deserve nothing but the best. I was born and raised in California. I love spending time with my family and friends and taking my children to museums and zoos. 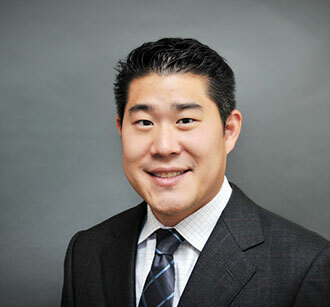 My wife, Jean Gong, DMD, is also an orthodontist who practices in Westfield, NJ. When I have time, I enjoy swimming, golfing, playing piano, and cooking.